Delhi Kisan Mandi (KM) is a platform for direct sale of fruits and vegetables to wholesale and retail buyers in Delhi / NCR. 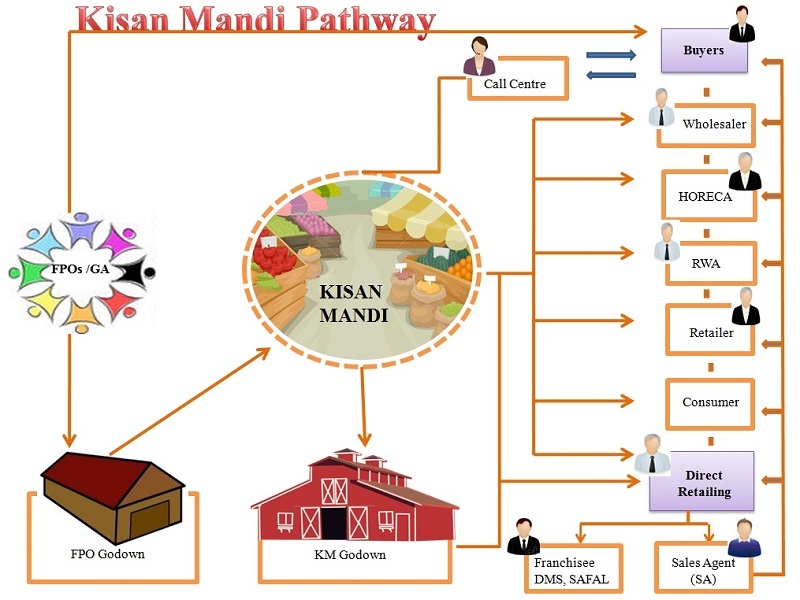 SFAC has launched a Kisan Mandi at Delhi in October 2014, with the objective of linking farmers and FPOs to wholesale and retail buyers in the Fruits and Vegetables (F&V) segment. The Delhi Kisan Mandi has already begun its operations. Till date, more than 43868.753 MTs of fresh produce sourced directly from farmers and FPOs has been marketed to wholesale buyers, such SAFAL, organized retailers, hotels and caterers etc. 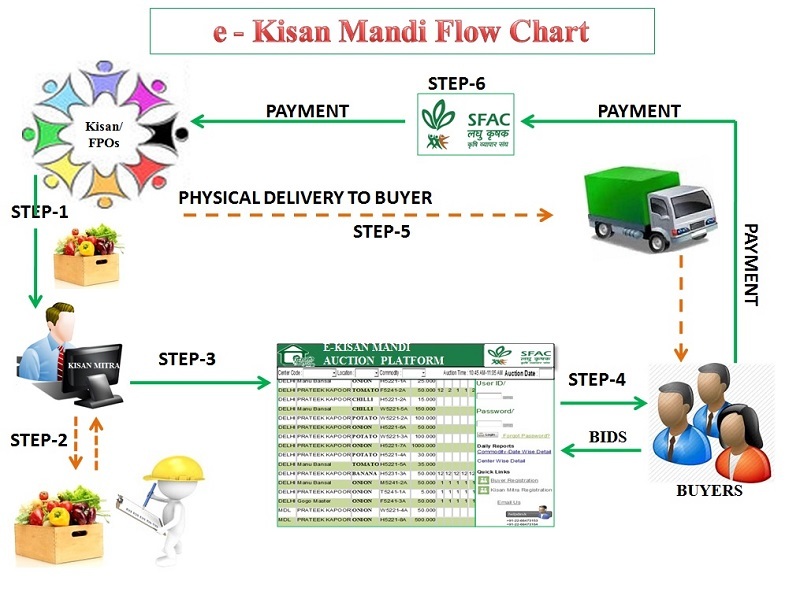 SFAC has launch e-Kisan Mandi which trades in fresh produce over the internet for the first time in the country. Transactions are directly between producers and buyers, with no commission agents in the middle.